We don’t have to tell you about how epic Cancun Spring Break is. It’s legendary. It’s outrageous. It’s Cancun. We’ll be bringing you and your friends to the unrivaled spring break capital of the world. We’re ready. Are you? Dominican Republic’s hottest vacation spot, drawing Spring Breakers with its perfect weather, pure white sandy beaches, crystal blue water, and amazing nightlife. Cabo is well known as a tourist destination and is very much favored by the rich and famous, as well as an up and coming Spring Break hot spot. If you want to have an exclusive and unique experience, this is the place for you. One of Mexico’s most popular spring break destinations due to its world-class hotels, authentic Mexican feel, and amazing nightlife. 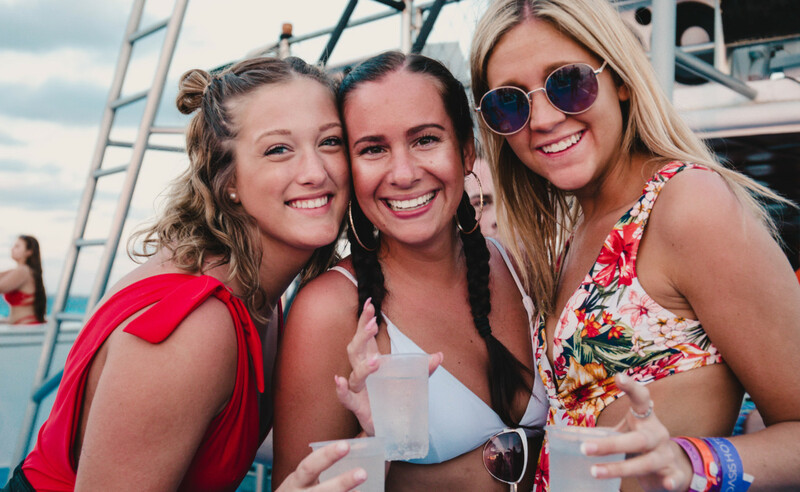 Puerto Vallarta is one of the newest trending Spring Break locations for student groups. Take the Party down South! Head to the south of Texas for some fun in the sun. The Island of South Padre is the ultimate Spring Break experience. Non-stop beach parties and a whole lot of fun. Get ready for a Spring Break vacation in paradise. Numerous hotel options, some all inclusive, some beachfront, some walking distance to the awesome nightlife. Great options for all budgets.